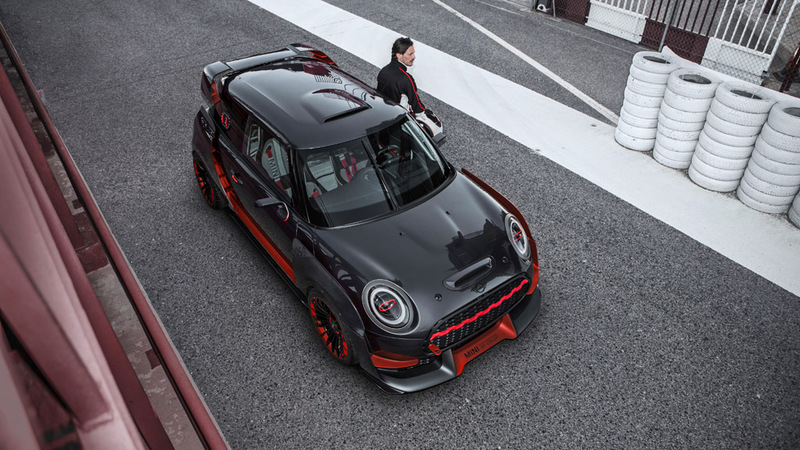 BMW Group owned British marquee Mini has unveiled its John Cooper Works GP Concept at the 2017 Frankfurt Motor Show. 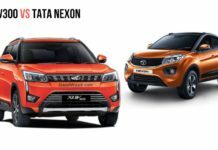 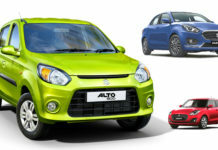 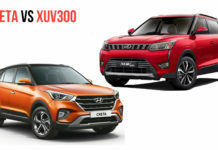 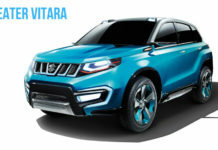 The car appears as a perfect blend of sporty design and power packed performance. 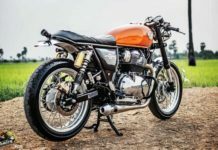 This concept model has been inspired by the car manufacturer’s legendary triumphs in Monte Carlo Rally exactly half a century ago. 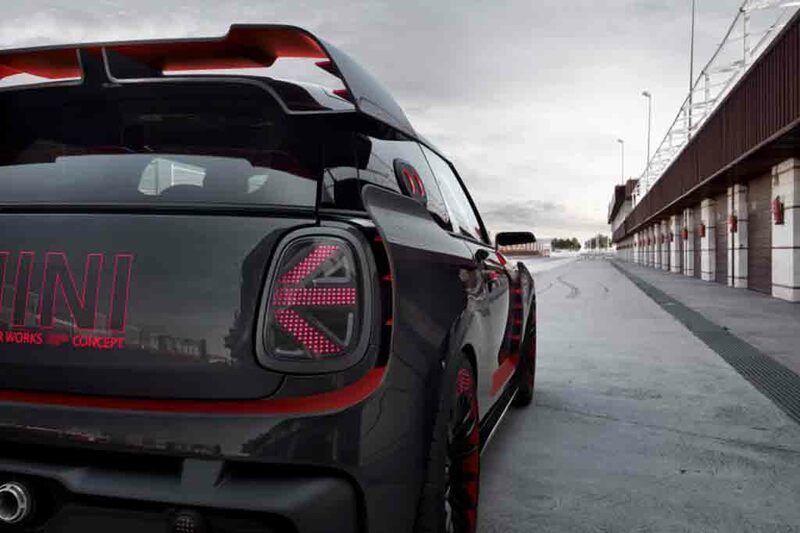 As Mini claims, the John Cooper Works GP Concept model is designed to offer the ultimate driving fun, both on racetrack and on the road as well. 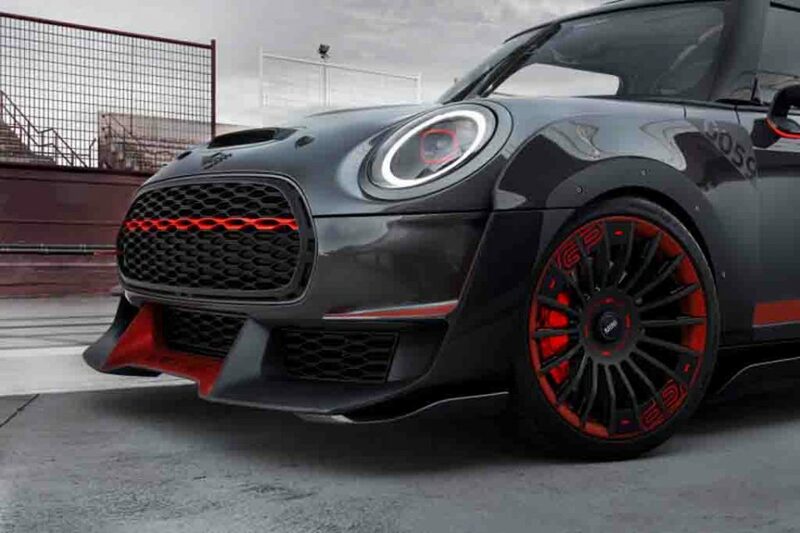 It takes inspiration from the 2012 Mini John Cooper Works GP and the 2006 Mini Cooper S as well and with the blends that with the John Cooper Works GP kit. 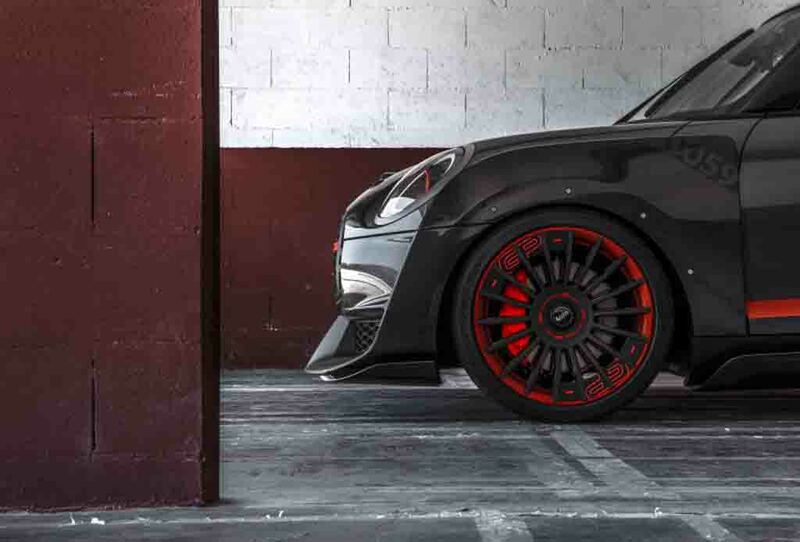 The car wears a sporty black paint scheme with red trims highlighting the accessories. 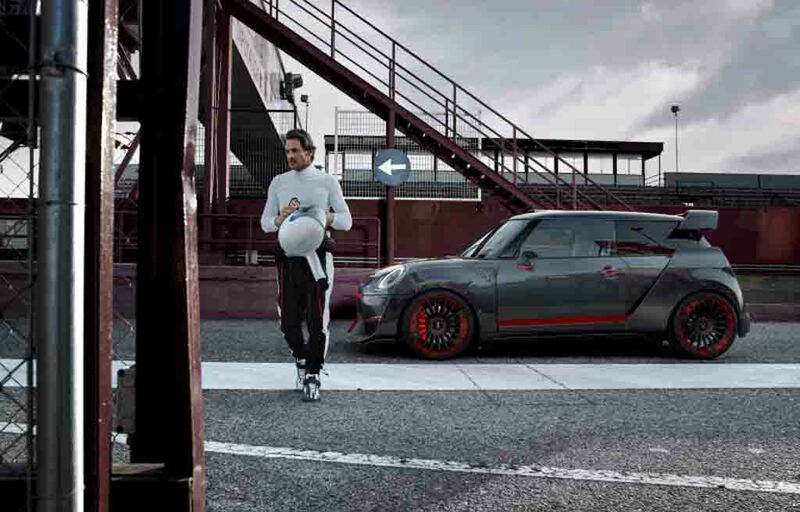 Speaking about its design, the Mini John Cooper Works GP Concept appears wider than the current Mini. 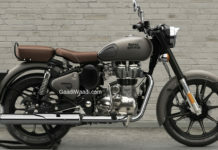 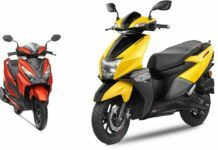 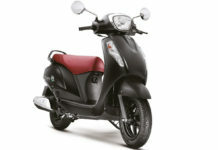 It gets several accessories in order to reflect the track ready sporty charm. 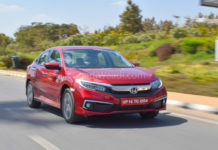 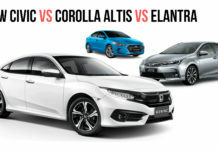 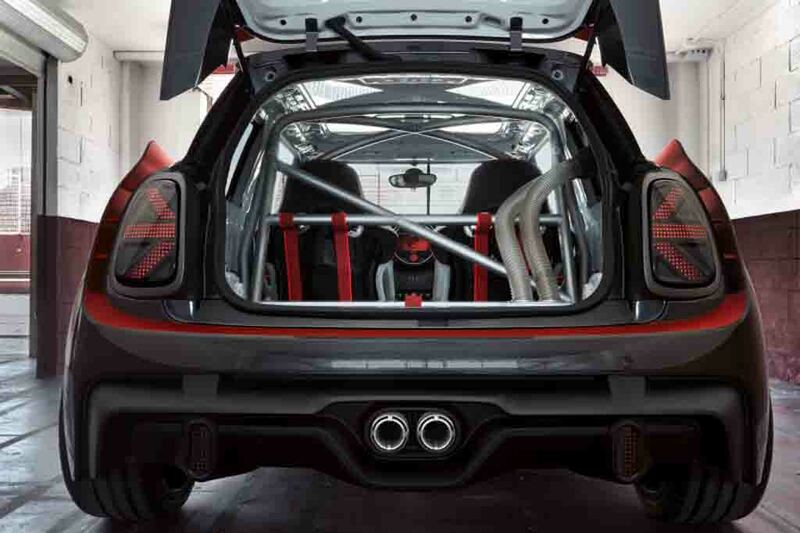 The large front and rear aprons, sharp side skirts, a sleek roof spoiler, 19-inch racing wheels, red brake calipers, dual chrome tipped exhausts altogether make this car very attractive looking. 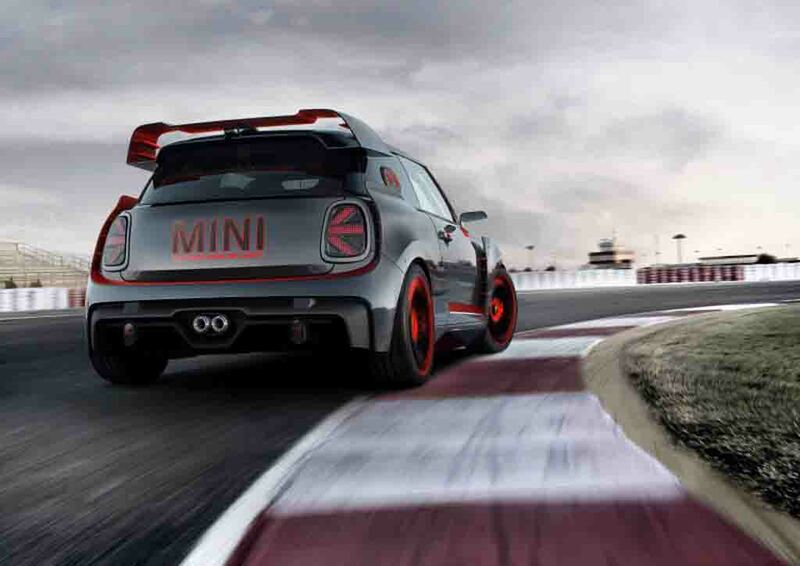 Mini has used extensive amount of carbon fibre in making this model in order to optimize the power to weight ratio. 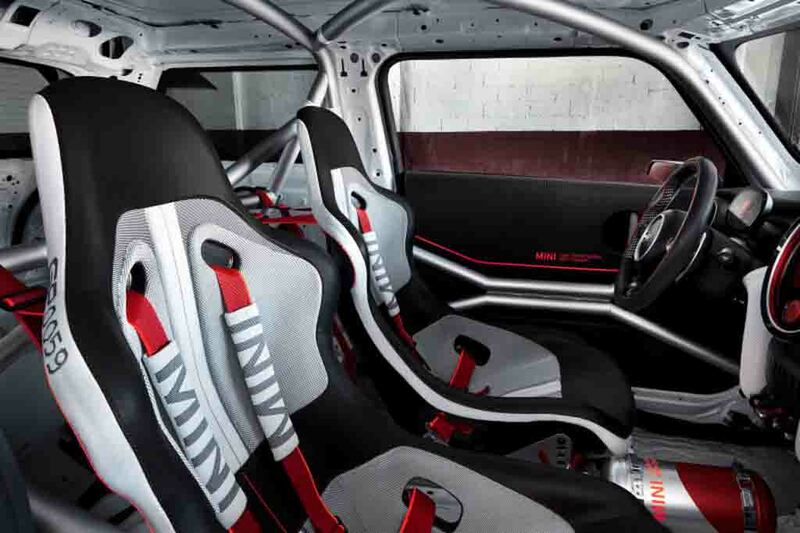 Inside the cabin, Mini John Cooper Works GP Concept gets a roll cage, low mounted bucket seats with five-point belts. 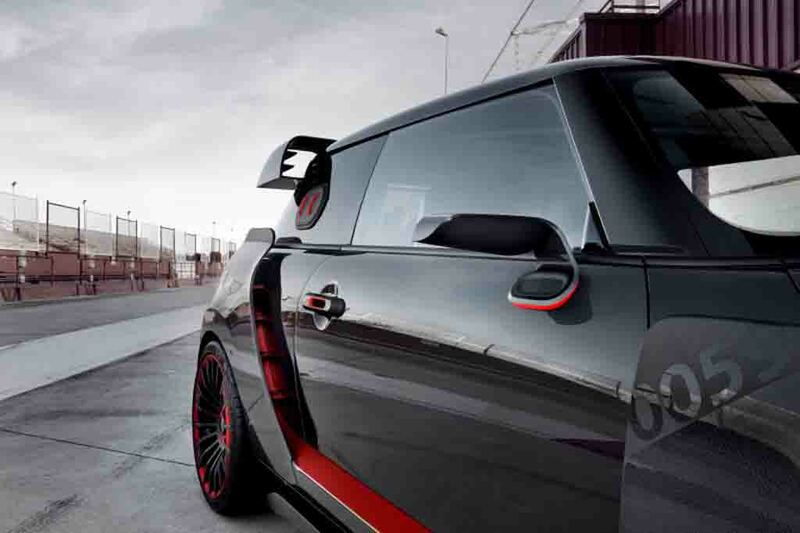 The luxurious elements of the Mini have been ripped off from its interior. 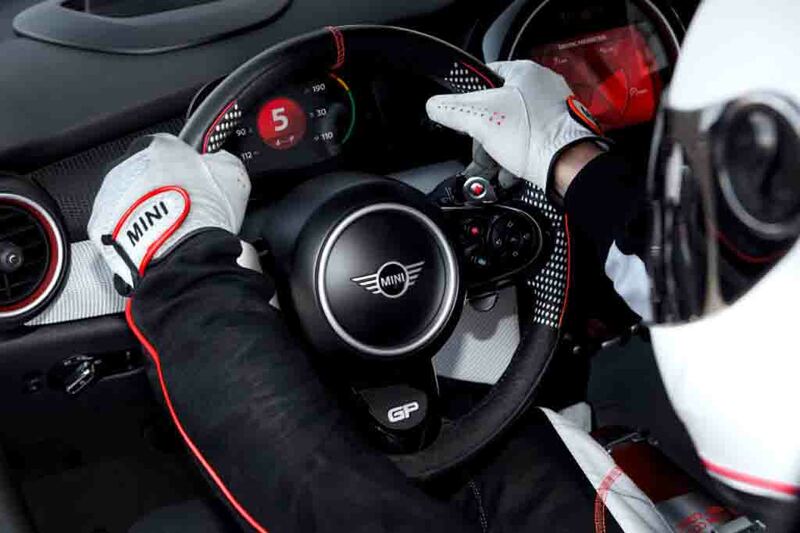 There is a three spoke multifunction steering wheel with paddle shifter and the steering boasts red contrast stitching. 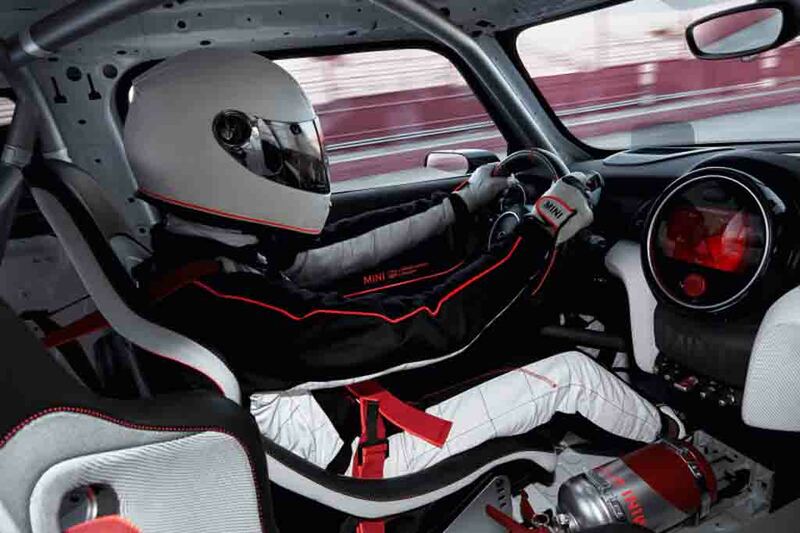 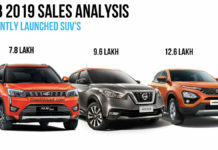 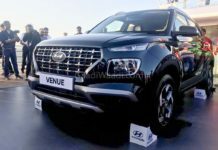 Apart from that, there is a race-spec fully digital instrument cluster, a signature Mini round centre console housing a touchscreen infotainment system. 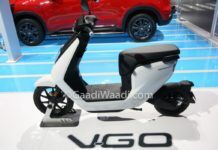 The interior wears a sporty black and silver theme along with the red trims enhancing its visual appeal further. 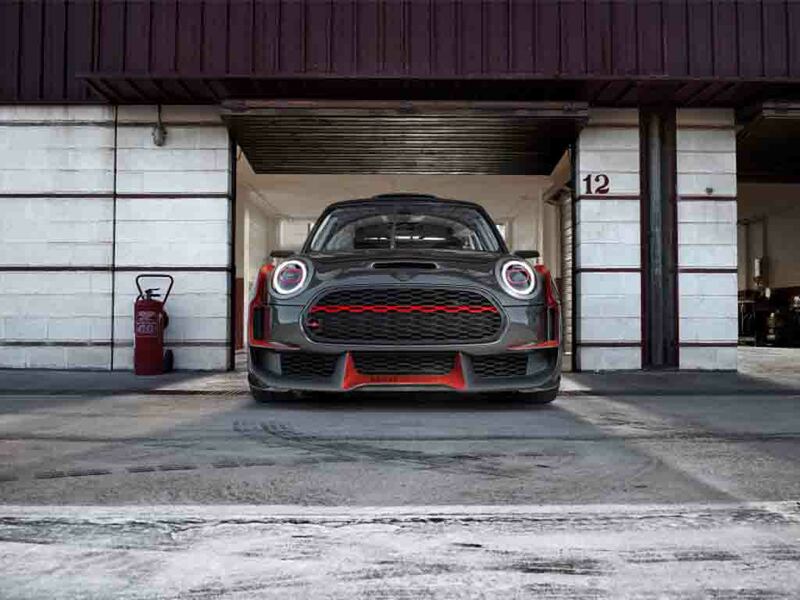 Power source for the Mini John Cooper Works GP Concept is a 2.0-litre turbocharged four-cylinder engine that is capable of churning out around 250 hp of peak power.